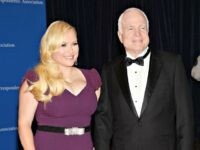 Meghan McCain released a moving tribute to her late father, Sen. John McCain (R-AZ), shortly after his death on Sunday, praising him as a hero to the republic. 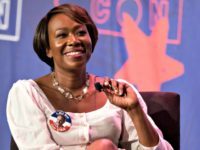 A former co-host of MSNBC’s Joy Reid has come forward alleging she created an unbearably toxic work environment and once threatened him with physical violence over ten years ago. 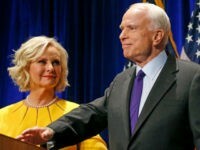 Cindy McCain, wife of ailing Sen. John McCain (R-AZ), is likely to succeed the longtime lawmaker, a new report says. 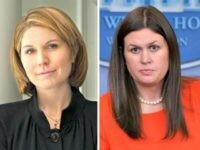 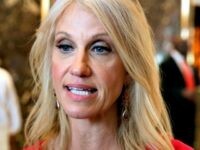 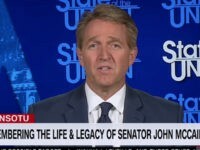 An MSNBC host is taking back her words after suggesting Friday that reporters should “wring” White House Press Secretary Sarah Huckabee Sanders’ neck for allegedly avoiding questions about a White House staffer’s alleged disparaging remarks about Sen. John McCain (R-AZ). 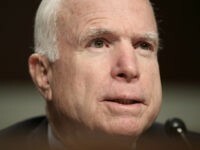 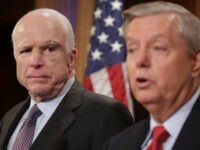 TEL AVIV — For the past three days, Sen. John McCain’s office has not responded to Breitbart News phone and email inquiries seeking clarification on the Arizona politician’s role in delivering the infamous, largely discredited 35-page dossier on President Donald Trump to the U.S. intelligence community under the Obama administration. 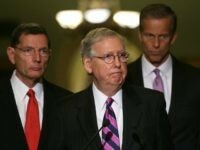 Republicans continue to plot whether they want to tie Obamacare repeal to tax reform or repeal Obamacare next year. 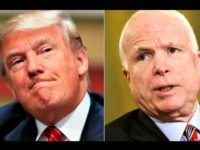 President Donald Trump tweeted a video on Monday of Sen. John McCain (R-AZ) promising at least 13 times to repeal and replace Obamacare. 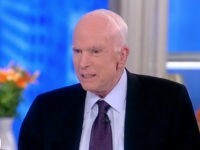 Donald Trump tweeted on Saturday that he believes John McCain never intended to vote for the Graham-Cassidy Obamacare repeal bill. 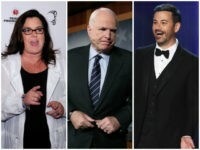 Hollywood stars took to social media Friday to pour praise on Sen. John McCain (R-AZ) following his announcement that he will oppose the Graham-Cassidy Obamacare repeal bill. 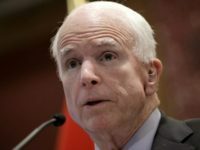 Sen. John McCain said in a statement on Friday that he will oppose the Graham-Cassidy Obamacare repeal bill, tanking Obamacare repeal again. 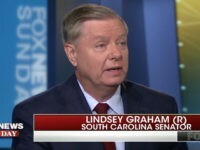 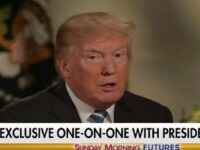 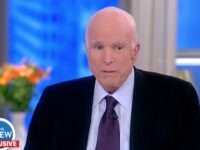 Sunday on CBS’s “Face the Nation,” Sen. John McCain (R-AZ) said President Donald Trump’s announced ban on transgender troops in the military was “just not fair.” The top Republican on the Senate Armed Services Committee also included DREAMers in his comments. 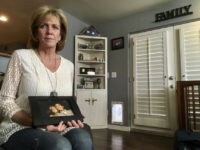 “Angel Mom” Mary Ann Mendoza spoke with Breitbart News Daily SiriusXM host Alex Marlow on Wednesday regarding her reaction to President Trump’s actions related to DACA and immigration reform. 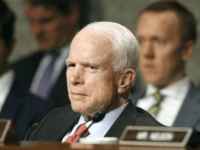 Sen. John McCain (R-AZ) penned an op-ed last week with a headline that called for Congress to embrace the “regular order” budget procedures when it returns to Washington. 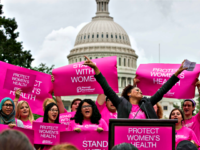 The president of the nation’s largest abortion business is taking a victory lap and hoping to raise funds on the GOP’s failure to repeal Obamacare and eliminate Planned Parenthood’s taxpayer funding. 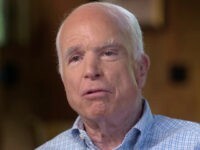 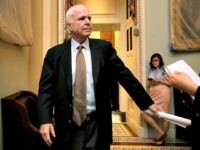 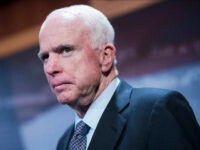 Physicians diagnosed Sen. John McCain (R-AZ) with a brain tumor on Wednesday night. 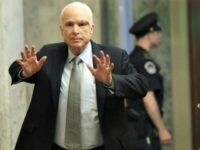 A note left on Sen. Dean Heller’s (R-NV) door on Monday threatened to kill him if he voted in favor of the proposed health care bill, the Nevada Independent reported.